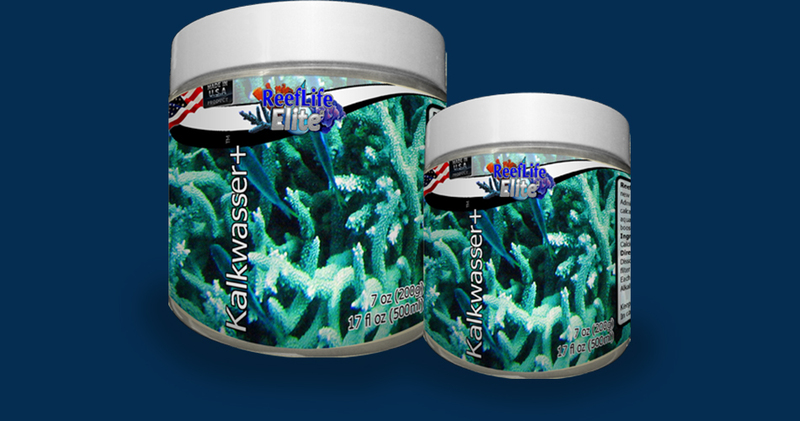 ReefLifeEliteR Kalkwasser+TM is the easiest and cheapest Calcium and Alkalinity solution for reef tanks, and is method for those new to the hobby. The “Kalkwasser” is the German term for limewater, a saturated solution of calcium hydroxide in water. 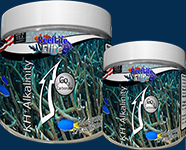 Administering this solution to marine aquariums replenishes calcium and maintains alkalinity, benefiting corals, clams, and calcareous algae that build skeletons, shells, and crusts from calcium carbonate. Further benefits are that it helps maintain aquarium pH and precipitates phosphates. It also reacts with fatty acids and other organic compounds, and this plus the naturally boosted pH enhances protein skimming. Dissolve 1 spoon (inside) per 4 liters (1 gallon) of freshwater wait 12-24 hours to sediment. Add clear water only slowly directly to filter tank (we recommend use with ATO system) to compensate for the missing water. Each 1 dose per 200 liters (50 gallons) will increase the calcium concentration by approx 10 ppm. Checking the Calcium, Alkalinity and pH level for adjust dose. Not recommend for freshwater plant. Recommend for Malawi and Tanganyika in freshwater tank. new to the hobby. The “Kalkwasser” is the German term for limewater, a saturated solution of calcium hydroxide in water. boosted pH enhances protein skimming.